Love the wee baby sock. I especially love that it took only an hour to knit it. This is going to be a shop sample for the yarn shop and I am happy to knit it. The pattern is great. 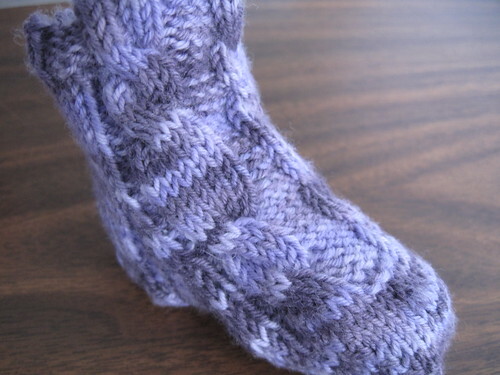 I look forward to finishing up the second sock and start on the hat. It's WIP Wednesday...what are you knitting?